This is the second book in the Second Chance series, is about a different couple, Ryan and Tess, but is as good as the first one. Well written the story is fast paced and drama-free, which I love. Ryan is the kind of guy every woman dream about, he´s sweet, caring,understanding and most of all Tess can count on him to share her burden. And Tess is the kind of girl every men should dream about it. She´s independent, fierce, loyal, work hard, and she may think Ryan can help, but she´s not waiting for him to do it. 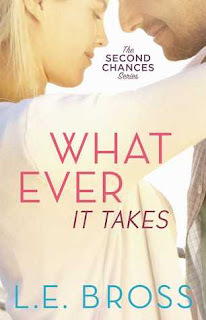 Esse é o segundo livro na série Segundas Chances, e foca em um casal diferente, Ryan e Tess, mas a história é tão boa quanto o primeiro livro. Bem escrita, a história se desenvolve rapidamente e sem drama, o que eu qmo. Ryan é o tipo de cara que toda mulher sonha, ele é doce, carinhoso, compreensivo e o mais importante, a Tess pode contar com ele pra ajudá-la a carregar o peso da vida. E tess, é o tipo de garota que todo homem deveria querer. Elá é independente, forte, leal, trabalha duro e ela pode achar que o Ryan pode ajudá-la, mas não fica esperando que ele o faça.